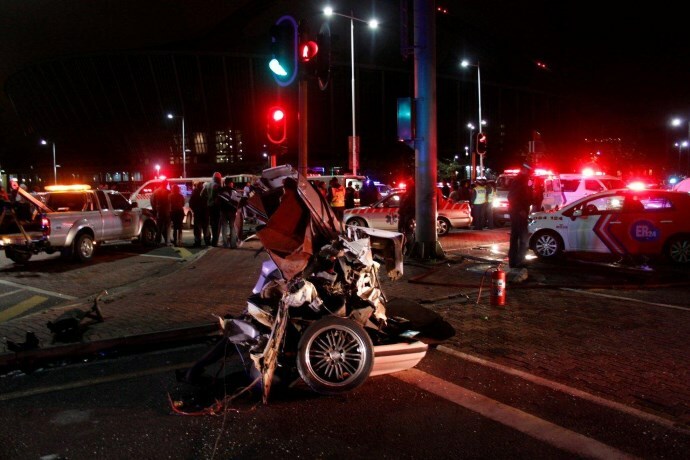 On the Arrive Alive website, we share many reports from road crashes across South Africa. The objective is not only to keep the public informed of road crashes but also to investigate and expose the contributing factors to road crashes. This allows us to share information and advice on preventing these crashes and make our roads safer. A very important theme is that of Speed. We emphasize that drivers/bikers should both obey the Rules of the Road and the Speed Limits and also adjust speed where the road, traffic and weather conditions necessitate a reduced speed to be safe. It is often alleged after a crash that the driver "must have been speeding" - Is it true to say that this is a dangerous assumption to make without crash investigation? Well - there are assumptions then there are assumptions. 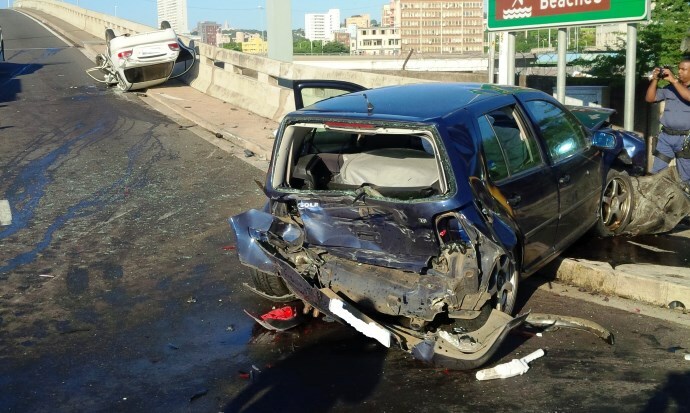 If a vehicle is damaged but the damage is minor or occupants survive, the superstructure stays intact or the damage is mostly cosmetic, you could be wrong about making any assumptions about speed. We have worked in several cases where opposing experts and even police reports have described damage as “severe” and “serious” but where closer examination revealed that the bumper carrier bracket (the steel rail that the plastic bumper is attached to) is completely undamaged. In that case, the plastic bumper (what you see) was stripped away, so the car looked terribly different, but the underlying structures were hardly even scratched. One must first determine which of the damage you observe is cosmetic (plastic and plates) and which involves underlying stronger or stiffer structures or even the superstructure of the vehicle. Only when you have considered the total damage profile and the prevailing structural displacement dynamics, can you start forming an opinion? 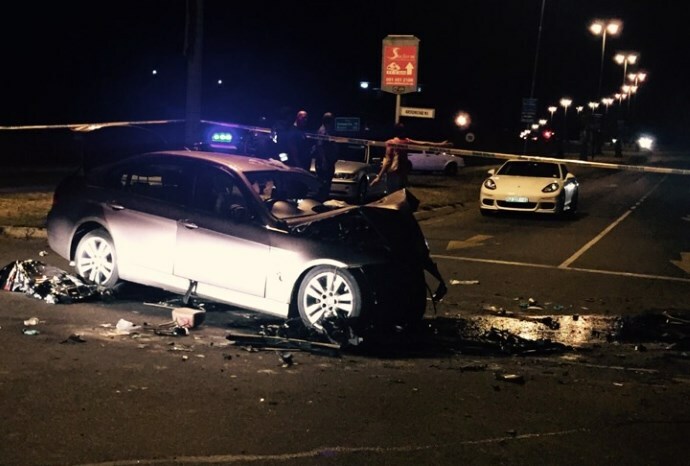 But then there are cars, like the one that was transporting Minister Collins Chabane, where the damage is so severe, any conclusion other than “speed” as a factor is all but impossible. In that case, the superstructure of the vehicle is completely displaced. Even the Right Rear Wheel is seen to have impacted against the Right Rear Wheel Arch with such severity that the Right Rear Door Sill and Wheel Arch is deformed - and that is the furthest point (essentially) from the primary collision contact face. The vehicle also displays total rearward displacement of all of its vertical structures around the doors. This is indicative of severe primary contact damage (from direct contact) as well as severe structural referral damage (damage caused by natural deformation of the vehicle). 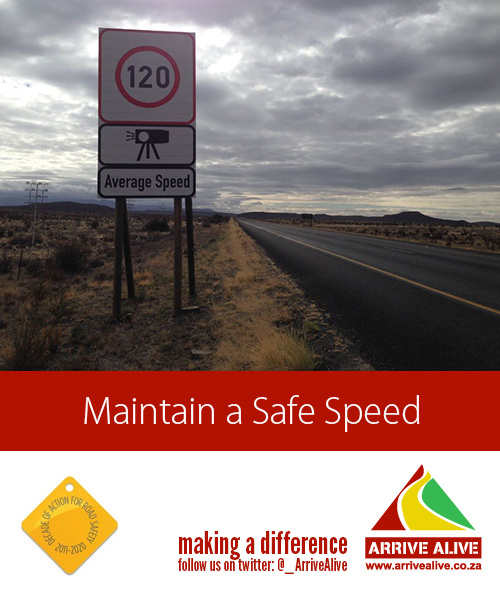 This makes the exclusion of speed as a possible factor very difficult indeed. Any tell-tale signs of speeding? What role does brake marks play in the assumption of speeding? Brake marks could play a role, but again you need to be careful. Skid marks are mostly analysed in terms of a “skid-to-stop” formula for speed calculation. This is the distance a car would skid to where it comes to a stop (without hitting anything) as a starting point. A good example would be a vehicle approaching a solid concrete wall at 200 Km/h. The driver applies brakes with full and maximum application only 5m from the wall. You will end up with a 5m brake-mark but excessive damages. So brake marks on their own can be very misleading. What is more important to consider when brake marks are analysed is the degree of brake application or wheel lock-up. Most calculations include a so-called “drag factor.” This is an expressed value of the “roughness” of the road surface. This can be different for different surfaces, so it should ideally be measured using a special device, called a drag sledge or using an exemplary vehicle and an accelerometer. Once you have considered the possible range of drag factors that could apply - there are tables - or once you have measured some values, you can start your speed calculations… AFTER you have also considered the wheel lock-up evidence. Not all cars that brake hard skid. Some have ABS. Some others might be lighter at the rear (like LDV’s) and leave a set of skid-marks that actually come from the rear tyres dragging and not the front. You need to consider this. For a speed analysis to be most reliable, a so-called 4-wheel lock-up would be an ideal starting point. Where only some wheels lock up and skid, another formula needs to be used to calculate the true drag factor (or braking coefficient) to use, considering the number of wheels that locked or rolled freely (for example). Only when all these (and possibly other) factors have been considered, can you start making assumptions or drawing conclusions about speed, from skid-marks? Can any such assumptions be made on photos of the vehicles involved alone? Yes. There are a number of assumptions that can be made, if the photographs are good enough or if enough can be seen in them. When photographs are used as a basis for possible assumption about speed, different things observed would imply different minimum speeds. As an example, most modern cars are designed to withstand minor bumps of up to or around 20 Km/h. So, by the time bumpers are damaged you can conclude that the speed was probably in excess of this. Most vehicles’ airbags would not deploy (to stage 2) unless adequate forces are generated. Typically, airbags will deploy at or above about 24-30 Km/h (depending on the vehicle, etc). So, if the airbag deployed (to stage 1) you would be able to see that the speed was likely more than this. Considering the kind of vehicle, you could also look at the structural damages to a vehicle. By the time airbags have deployed, the bonnet has been damaged, the front axle has been displaced and/or the engine has been displaced, you are approaching approximately 60 Km/h. As soon as you go over 60 Km/h, you will start seeing the roof display damages (referred damage) as well. While this is only a “rule of thumb,” it certainly helps to make a quick assumption about the speed (at impact) of a vehicle. From here, there is another “rule of thumb” that states that you get approximately one mile per hour of speed for every one inch of crush. If you can estimate the crush, you can typically estimate the speed. The type of vehicle and the extent of damages also play a role. As an example, modern Volvo vehicles have A-pillars that are stiffened with special boron steel inserts. These are extremely hard and - when they are bent - some repair shops do not even have to string enough equipment to straighten them. So - if a Volvo shows any damage to the A-pillar, you can expect excessive forces to have been involved and can start assuming higher speeds than 80 Km/h. By being aware of vehicle design, the strength of the structure, the likely failure points of different components or section of the vehicle superstructure and/or design considerations and safety systems, certain conclusions can be made regarding speed, from photographs alone. 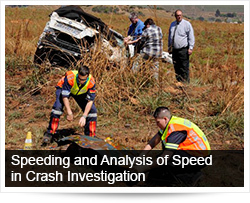 What are the most important aspects and vehicle components a crash investigator will look at when having to determine the speed of the vehicle? Crash analysis is best done “in reverse.” If you would like to analyse the speed of a vehicle, you typically start with the distance travelled from its final resting position to the point or area of the collision (and the prevailing dynamics during that movement, like roll-over, rotation, etc.). Next, you would consider the medium. Considerations of energy, movement and speed are affected by how hard or narrow an object is that the vehicle collided against or with. For example, a utility pole, tree, concrete wall and another vehicle (that is also damaged) would yield different results and might require different models of analysis. From here, the damage to the actual vehicle could also be considered. The width and depth of the damage (crush) are considered against research values that are determined during crash testing. These values are expressed as A, B and Z stiffness values. They are essentially extrapolated values, acquired from controlled crash measurements, that are used to determine the amount of energy needed to cause a particular amount of damage to a vehicle. The energy converted during a collision gives clues to the possible speed (as a function of a change in velocity, for example) the vehicle would have been travelling at when the collision occurred (at impact). Lastly, the pre-collision speed can be considered as well. This might include the skid-lines referred to earlier. Once these “components” of speed are determined in isolation, they are factored into a conclusion regarding the possible (often MINIMUM) speed of the vehicle. But - modern innovations like “black boxes,” Airbag Controller Units, Vehicle Telemetry and Tracking Systems, Tachograph Charts, In-vehicle Cameras and even GPS units in vehicles can all be interrogated to determine speed to a very high degree of accuracy, these days. Does the crash investigator play close attention to the type and make of vehicle in the crash and the dynamics of those vehicles? Absolutely. As pointed out above, the design philosophies used by each manufacturer and the mechanisms and systems they build into the vehicle can impact severely on the conclusions drawn from things like damages, airbag deployment, battery cable clipping (some cars have systems that will cut a battery in severe collisions), etc. Not all cars are built equally. As an example, the Smart Car is designed (on account of its very small size) to be so hard (it is called an occupant protection shell) that it would essentially activate the cramp zones on another car it collides with, rather than relying totally on its own. This means that the analysis model has to take this into consideration. Yes. The collision that happens at greater angles, approaching 90 degrees would often be analysed using the so-called “360-degree method” while head-tail and head-on collisions cannot be reliably analysed using the same model. Where a vehicle rolls over, the trip mechanism becomes vital in the analysis as does the number of times it rolled, whether it rolled continuously or skidded for distances during the roll-over on a particular side or panel and/or whether the vehicle was extensively damaged (movement reduced by impacts with objects). The most difficult types of collisions to analyse (using standard models) are cases where the mass and size difference between vehicles are substantial. A 50-ton truck and a 1-ton car colliding need to be analysed with due consideration for that severe difference since the influence the small car has on the relative motion and movements of the bigger truck are often negligible. Do you use external evidence from CCTV camera, etc. to analyse collisions? Actually, yes. All the time. The 124-point protocol I designed specifically for the at-scene and post-event investigation or road traffic collision includes this as a specific point of consideration. I have worked on several cases where the at-scene investigation was too poor or yielded too little evidence, where the only available evidence was video footage we acquired from a local CCTV camera. Places like Fuel Stations, many municipal areas, highways, shopping malls and many others have CCTV cameras these days. But most systems record a video for a relatively short period of time. This is why the investigator must include the effort of finding or looking for CCTV cameras in his at-scene investigation protocol. A classic example of the use of external video footage is the Pinetown Truck crash that was captured on (another) in-vehicle recorder.